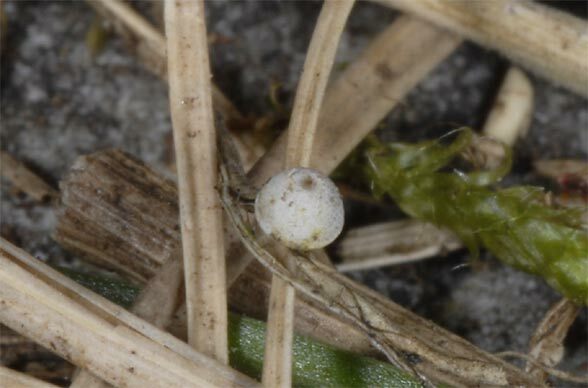 The eggs are deposited on grasses with low production such as Festuca ovina agg. 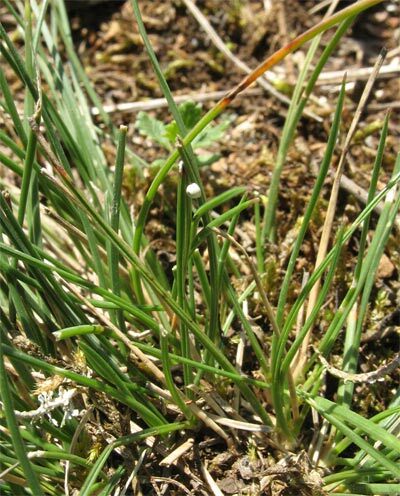 or Nardus stricta. 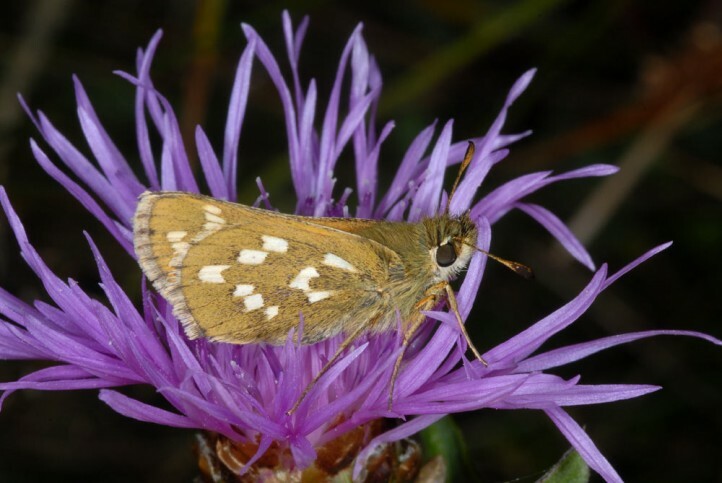 Hesperia comma inhabits nutrient-poor grasslands and mountain pastures of all kinds, as long as they are low growing, extensively managed and gappy (usually grazed). 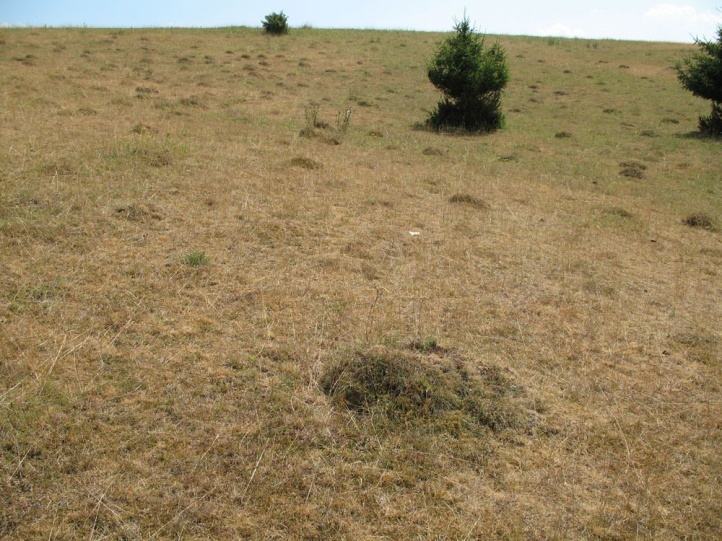 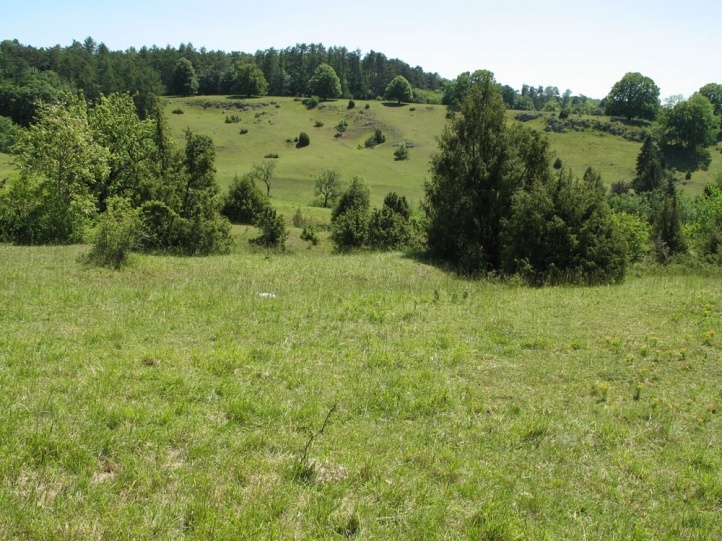 Essentiell is the occurrence of tufted Festuca spp. 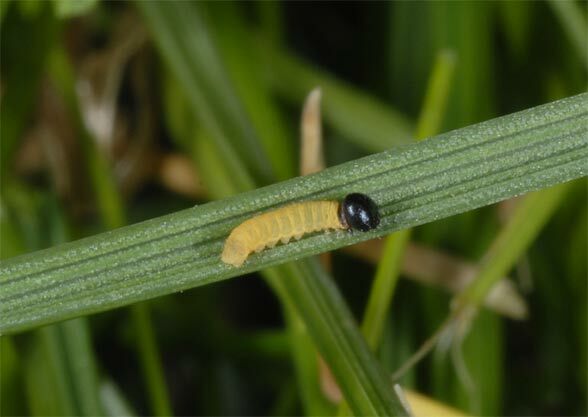 or related grasses. 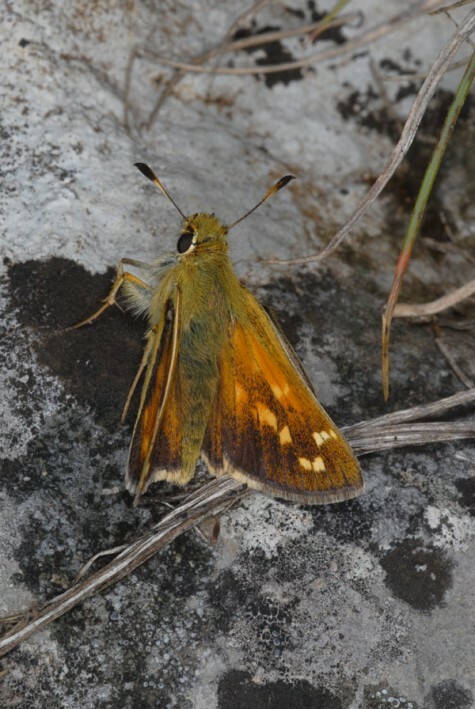 Hesperia comma sometimes also occurs in nutrient-poor, drier fens. 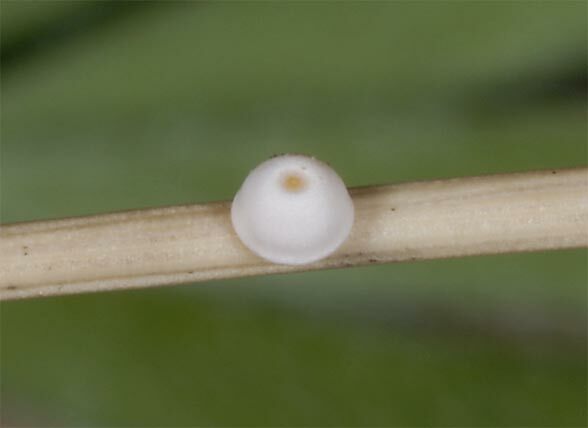 In the lowlands and highlands the egg hibernates and is placed close to the ground on grass (dead or living needle leaves) or sometimes on moss and liches in the direct vicinity. 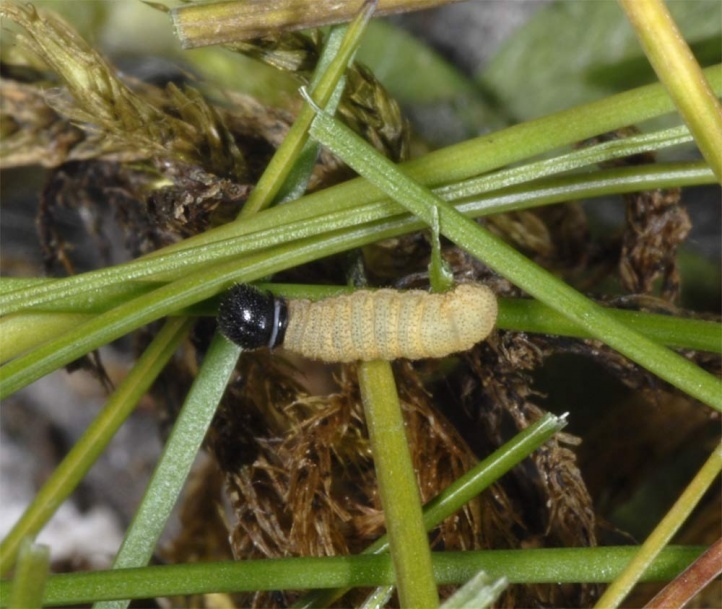 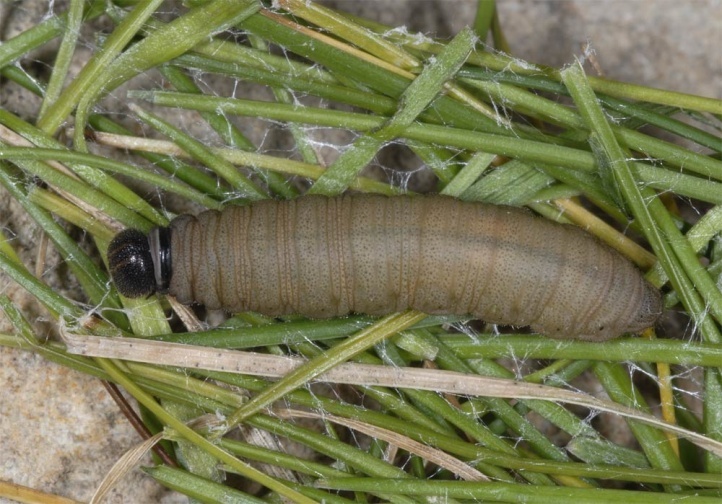 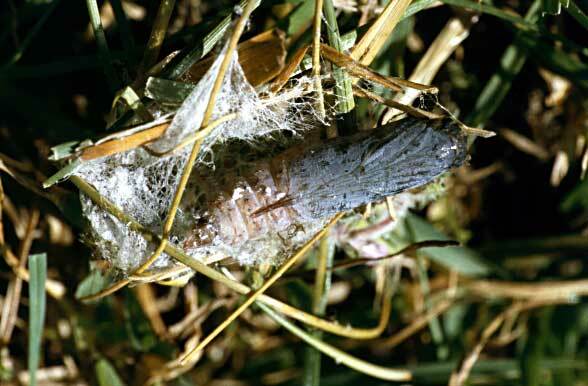 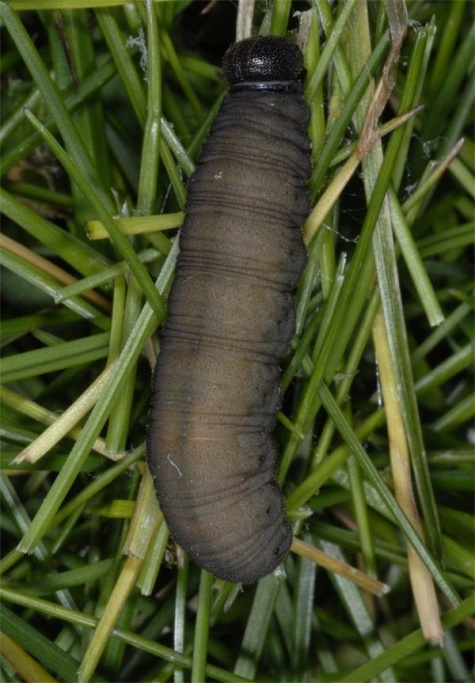 The caterpillar is mature in June and lives in an webbed shelter at the base of grass clumps. 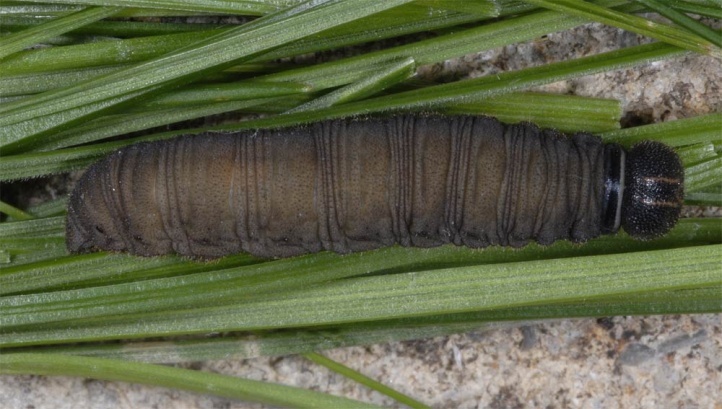 Occasionally caterpillars climb up at straws in great heat at the day. 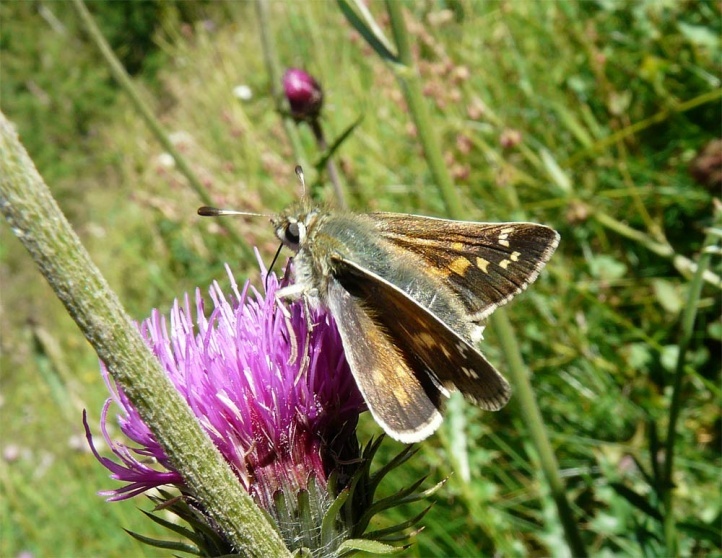 The adults fly from late July to early September. 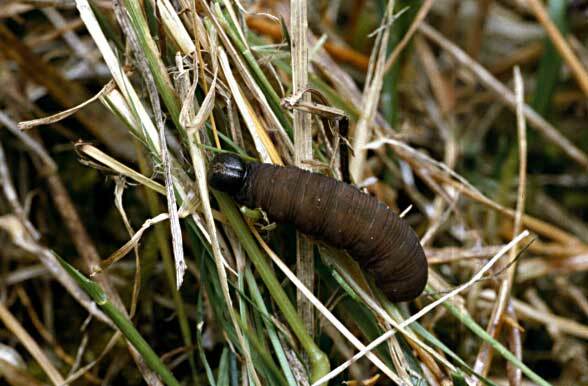 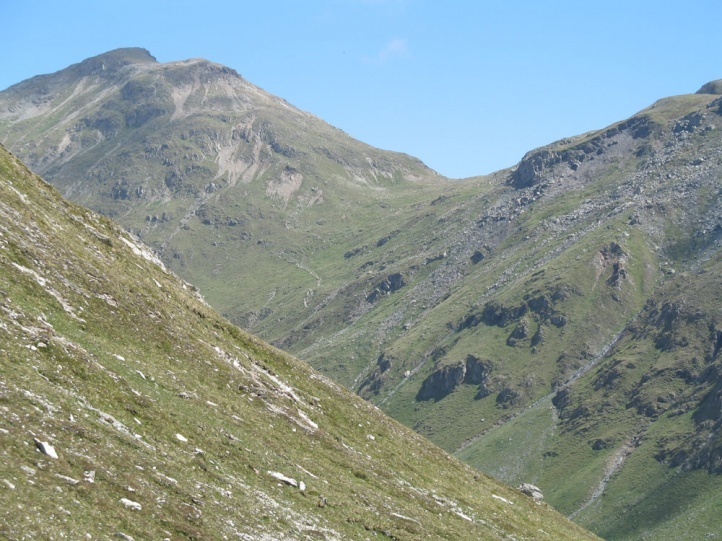 In the high mountains over 1800-2000m above sea level, the larval development needs two seasons. 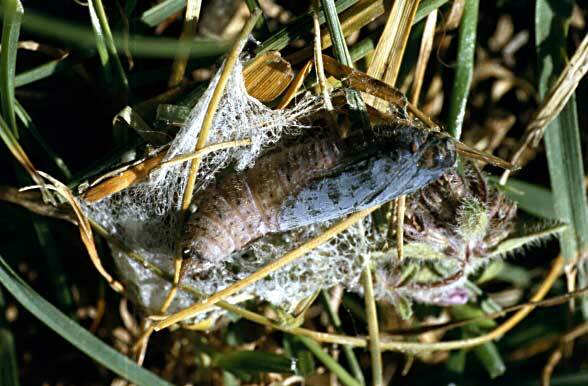 First the egg is hibernating, then the older caterpillar (presumably in penultimate or even last instar). 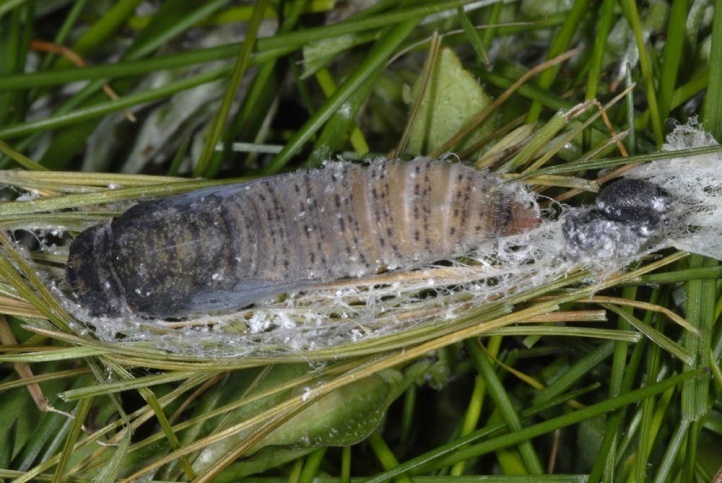 So it is there at the end of May to June to pupate. 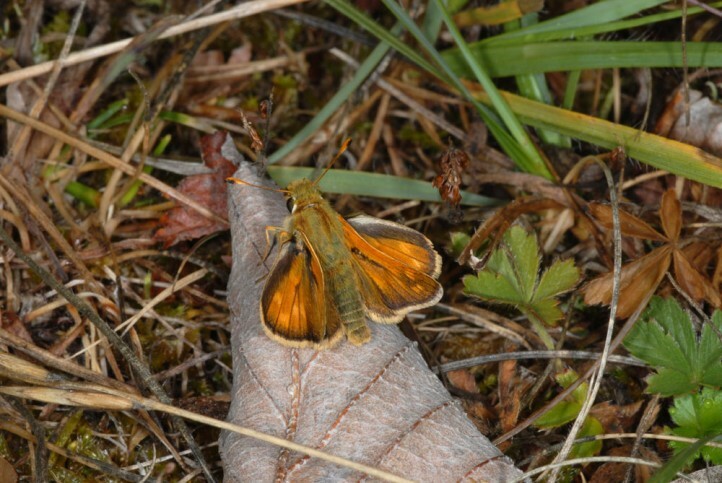 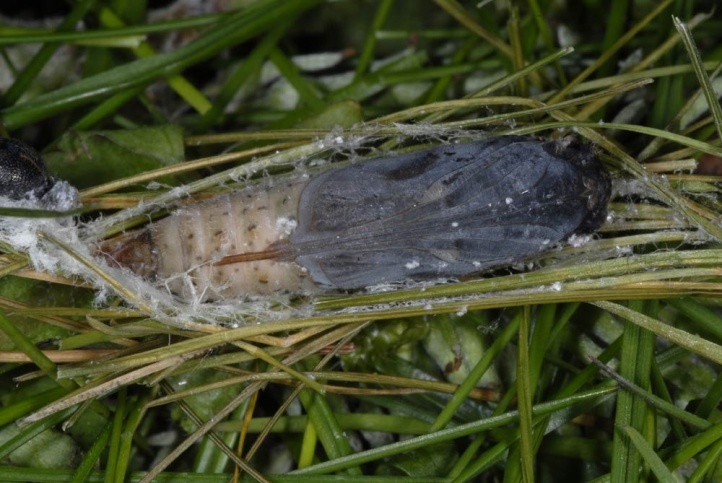 A fresh pupa I found, for example, in early June at about 2400 meters above sea level in the Valais. 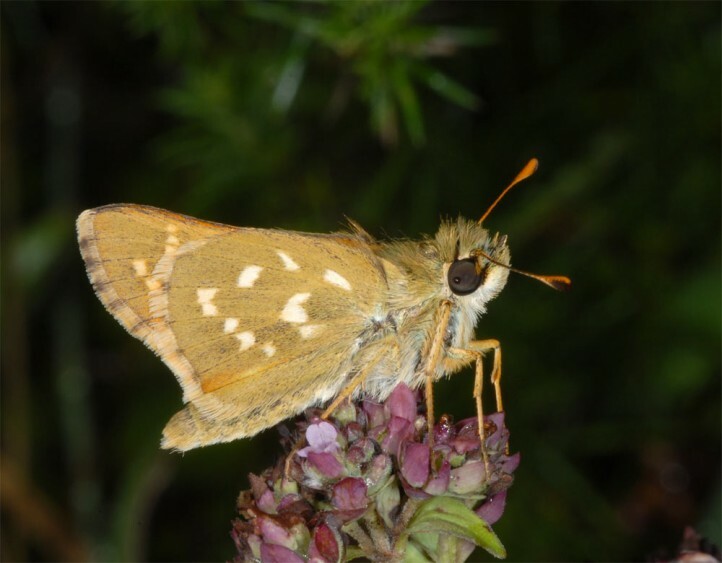 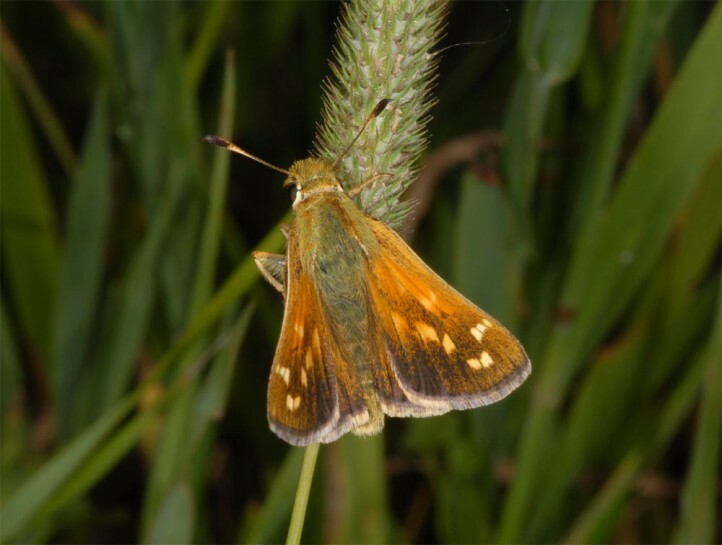 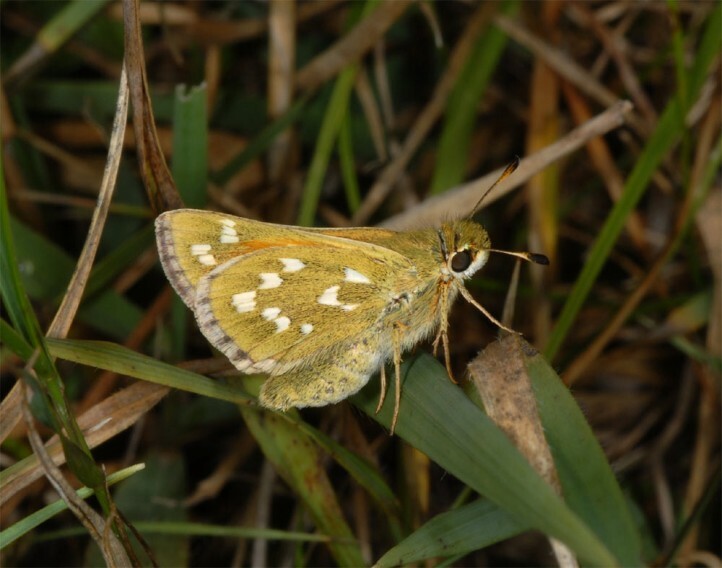 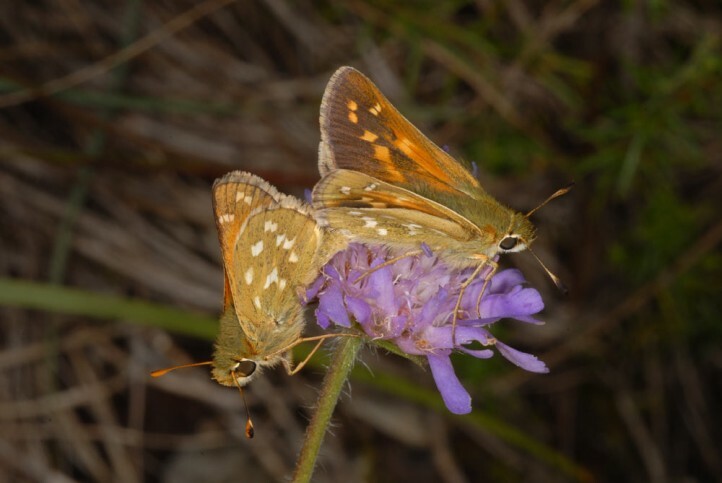 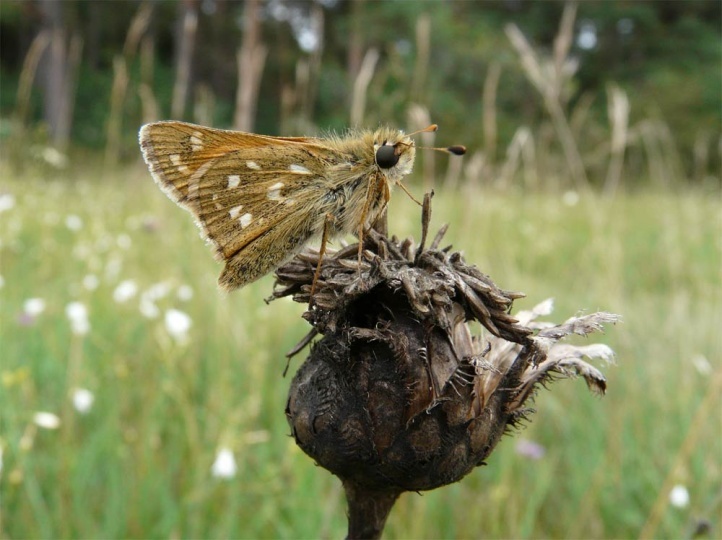 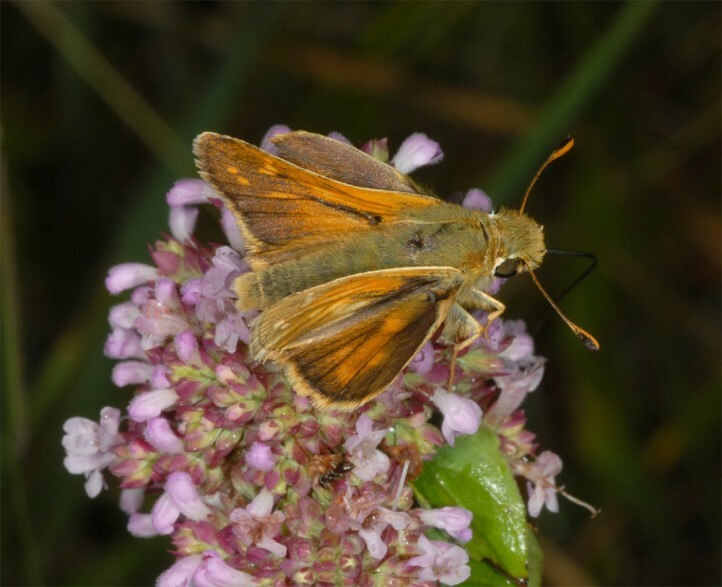 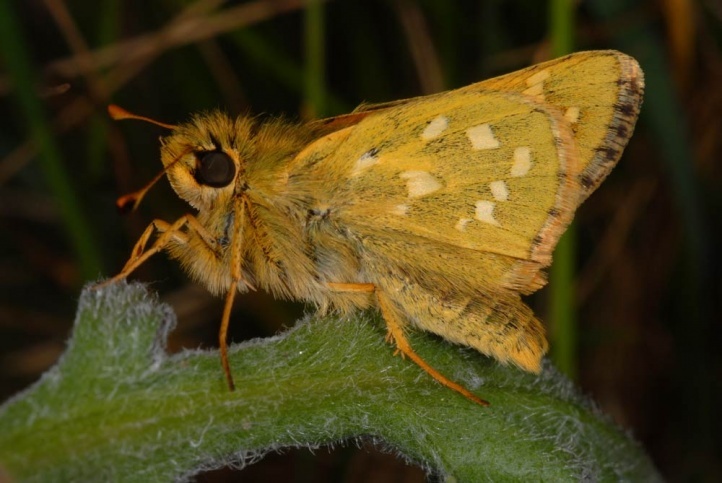 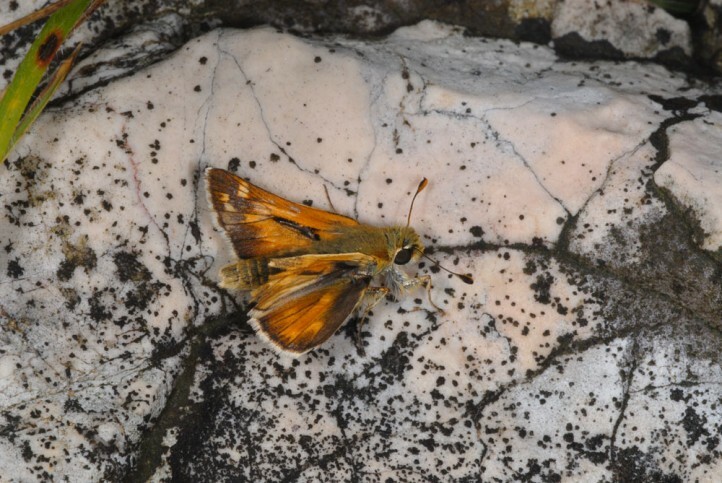 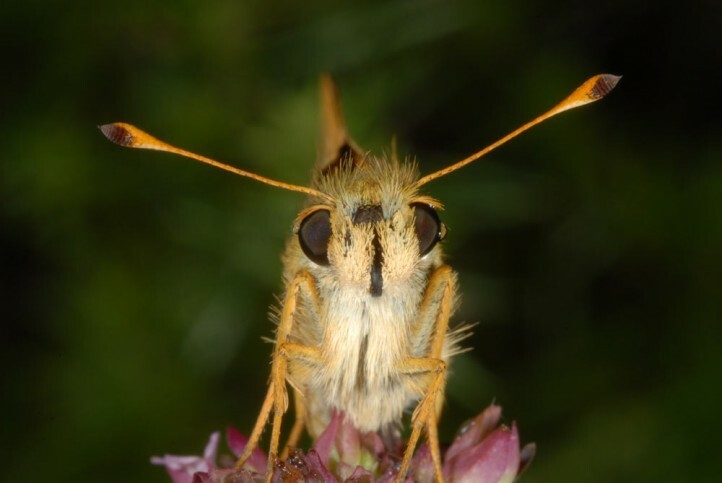 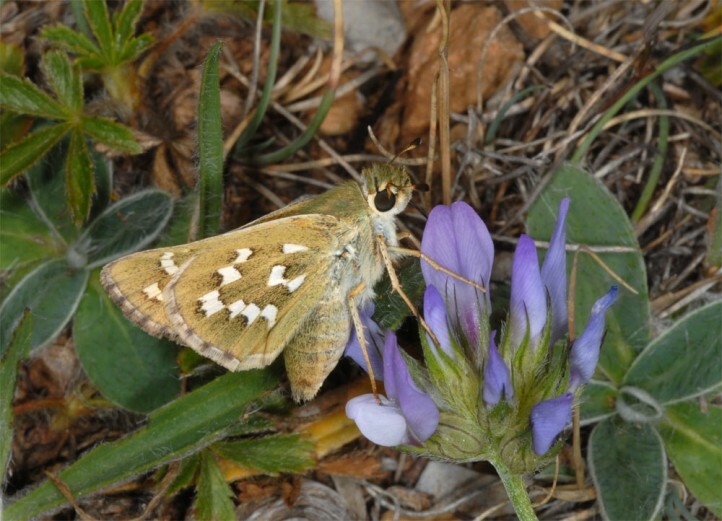 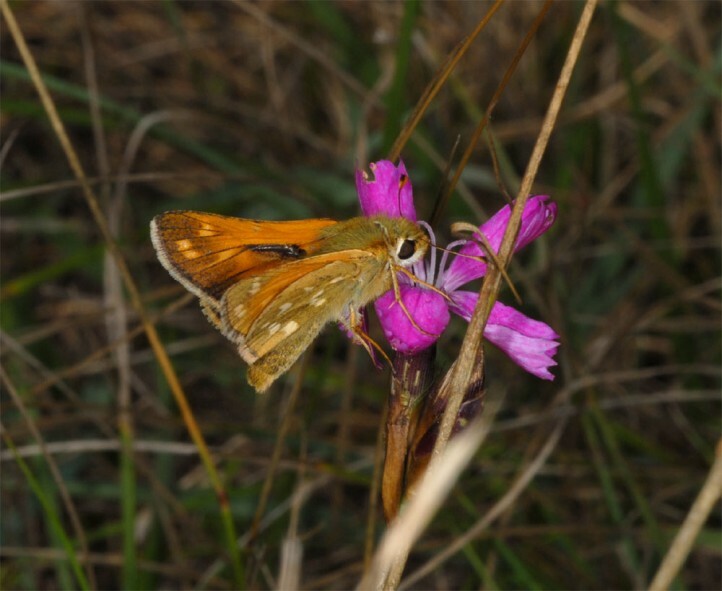 Hesperia comma is endangered, as nutrient-poor, low growing and gappy grasslands with adequate size are becoming increasingly rare (abandonment of grazing, bush encroachment, overbuilding, general eutrophication, intensification). 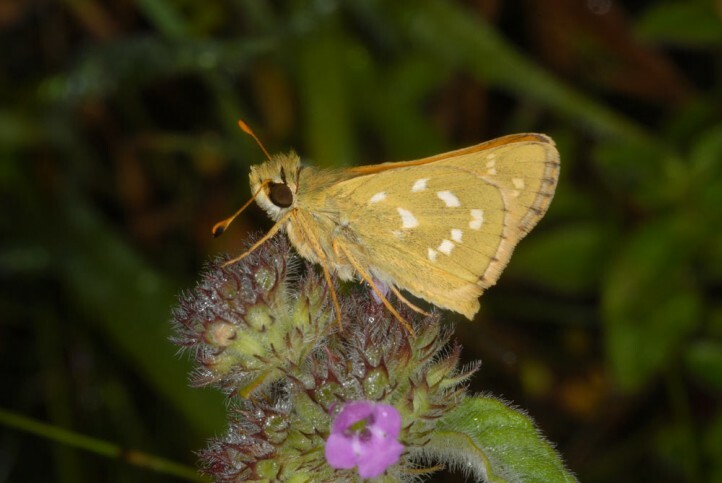 Hesperia comma is distributed from Northwest Africa across wide areas of Europe to the Amur and also in North Amerika (Holarctic distripution type).